Human is a cute little story, told in present tense, about a little girl ghost who befriends a human boy when his family moves into the house. She is trapped within a limited area of the house and cannot be seen by adults, only the boy. It's nothing too exciting, but the story does take a dark turn when we learn how the little girl died and why she is so restricted in her movements. For a short story, her character and that of the boy are actually developed fairly well. 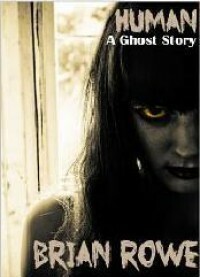 It's a nice, short read for when you're in the mood for a ghost story, but nothing too intense.